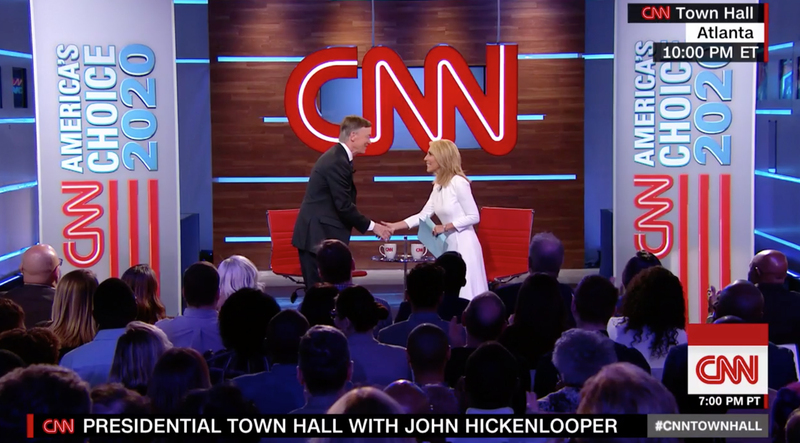 CNN’s latest town hall with former Colorado governor John Hickenlooper originated from CNN Center in Atlanta’s Studio 7. 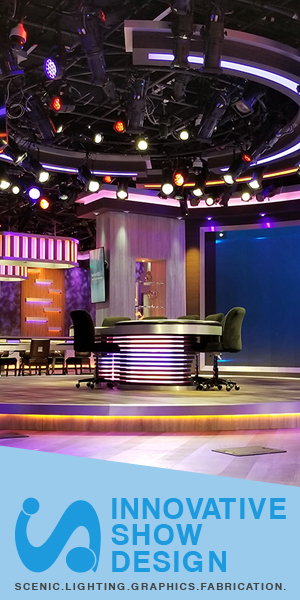 The studio was originally extensively overhauled in 2010 and then overhauled it again in 2016 when HLN took over the studio. 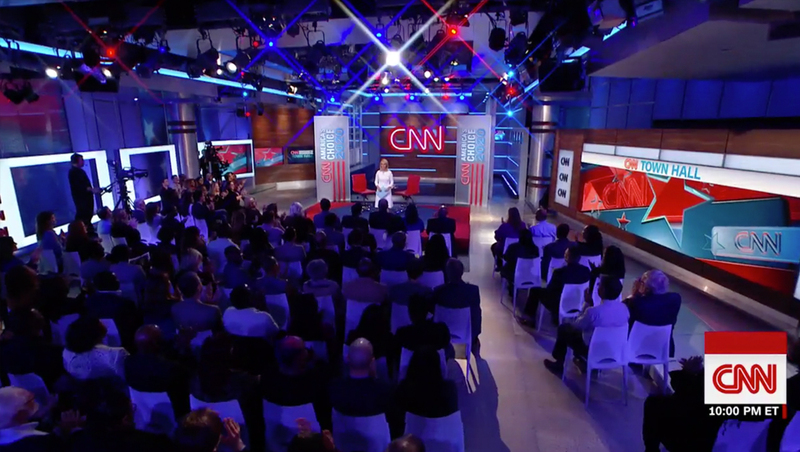 For Wednesday’s town hall, CNN added vertical “America’s Choice 2020” panels and fed town hall graphics to the studio’s numerous video walls. ‘Morning Express,’ meanwhile, has been broadcasting from CNN’s other studio in Atlanta since Monday — and continues to the day after the town hall. 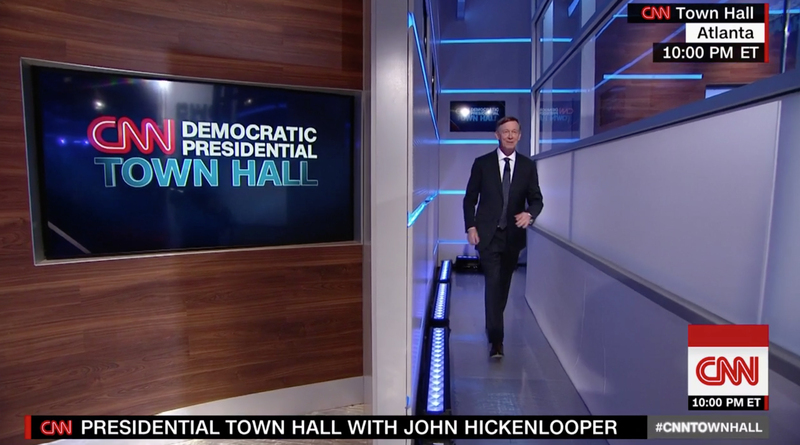 For the town hall, Hickenlooper entered Studio 7 through a narrow pathway created by a wall that separates the main studio from an alcove-like area of the space. The open area in middle of the studio was set with seating for a small audience. 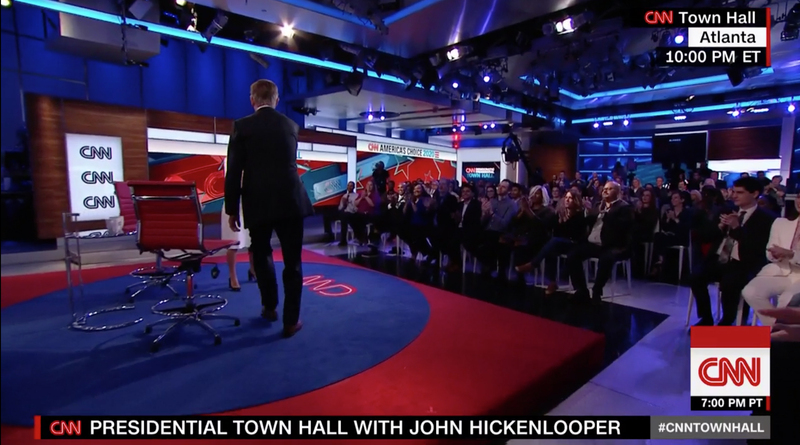 Home base for the town hall was set up near the walkway that Hickenlooper entered through and spotlighted the wood toned wall and a large dimensional CNN logo.